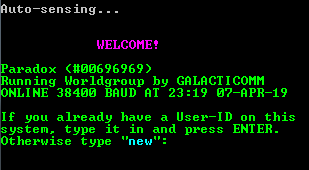 Xanadu is a general public board for those interested in all varieties of BBS related activites. We have a large base of available files, FIDO news, various mail networks and a large variety of doors. In particular we provide a number of InterBBS BRE and FE leagues with boards from across the world.